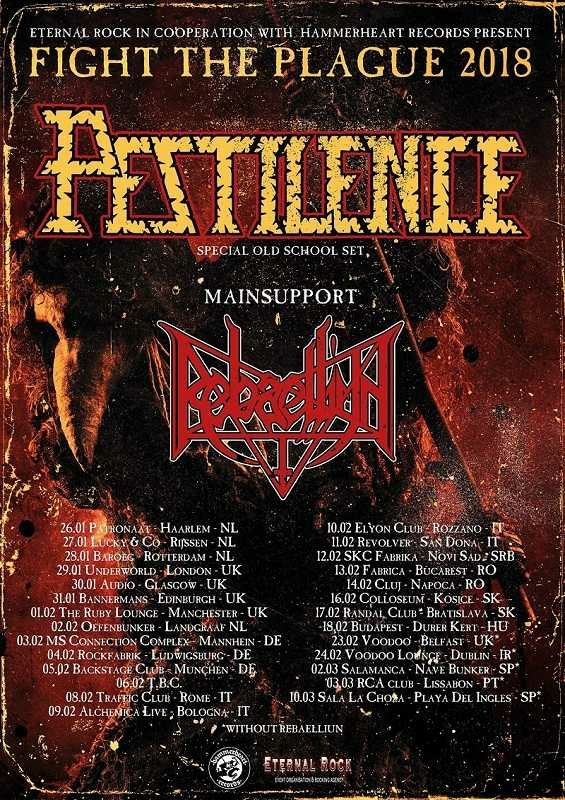 Netherlands based death metal legion, Pestilence is back in Serbia! This time, Pestilence will be playing in Novi Sad. The concert will be held in SKC Fabrikaon February 12th 2018. They will be supported by a Brazilian death metal band Rebaelliun and by Italian thrashers Violentor. Big shout out to Serbian Hellbangers, the guys who are promoting this show. Tickets will be on sale from November 1st (Mungos, Felix, Eventim). You better be there, ‘cause Pestilence will be playing only the stuff from their first four albums: Malleus Malleficarum, Consuming Impulse,Testimony of the Ancients and Spheres. Testimony and Spheres are with no doubt, one of the most influental and innovative death metal albums of all time. Artwork for both albums was done by legendary Dan Seagrave. 3000 dinars on concert day.